Poch, Olivier (2014): Vis-NIR reflectance spectra of the sublimation of Water ice particles containing 1 wt.% Smectite in intra-mixture. Version 1. 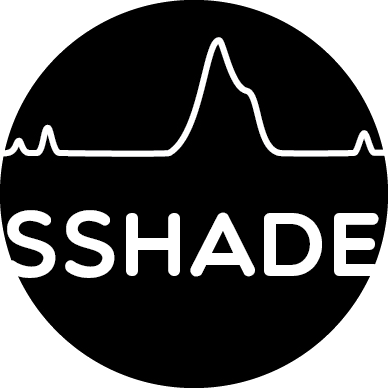 SSHADE/BYPASS (OSUG Data Center). Dataset/Spectral Data. The light beam emitted from the extremity of the fibre bundle positionned about 300 mm above the sample surface has a divergence half-angle of 12.7°. The light source incidence and azimuth angles are slightly variable from pixel to pixel. Note to the provider: Complete the "image" observation_mode when fully implemented in SSHADE. Because SCITEAS data are hyperspectral images. Selection of three snapshots from the sample video—colour (Video 5) showing the evolution of the surface structure and albedo after 0.5, 24.2 and 55.2 hours of sublimation in the SCITEAS simulation chamber. See Poch et al. (2016b) for details.